If you are one of many considering upping sticks and seeking refuge from whatever 2017 holds, (preferably on a sunny beach somewhere), we’ve got the definitive list of destinations that you’re going to want on your 2017 travel wish list. 2016 was a prosperous year for these places, and that saw a rise in tourism, yet they all maintain a similar rustic charm as beautifully unexplored and unspoilt destinations. After years of civil warfare, Sri Lanka is now a peaceful country, and its economic wealth continues to grow year on year. 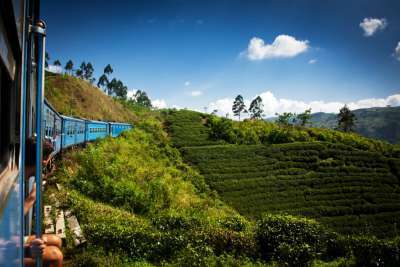 The country is awash with natural beauty which can be seen from the carriages of rickety steam trains - a nod to Sri Lanka's colonial past. The journeys are impossibly scenic, with routes through verdant jungle and past terraced rice paddies. As well as rich forestry, Sri Lanka is blessed with paradise beaches like Arugam Bay and Unawatuna Beach. The landscape also boasts some impressive historic monuments to Buddhism - the majority faith in Sri Lanka. In March 2016, rock group The Rolling Stones - a band previously banned in communist Cuba - performed a free concert in Havana. In the same week, Obama visited Cuba - the first presidential trip since the 1920s. Months later, communist revolutionary Fidel Castro died. These events are both independently momentous and entirely connected, as musical liberation reflects the sweeping political change across Cuba. 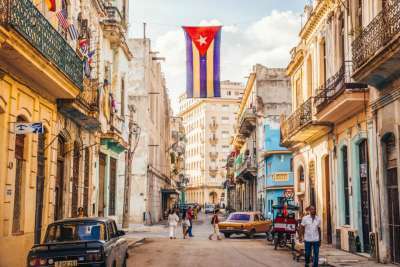 This rapid period of transformation is only looking to accelerate in 2017, so now is the time to visit Cuba's pristine beaches and buzzing city streets filled with colourful colonial buildings. Nepal is on the steady road to recovery after a devastating earthquake demolished the country back in 2015. Whilst some trails are still affected by the impact of the natural disaster, the mighty Himalayan mountain range has proved itself immortal. The snow-capped, pristine peaks continue to tower triumphantly over the landscape. 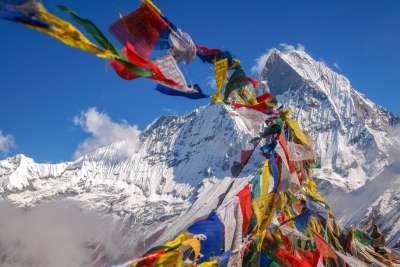 Hikers are as keen as ever to conquer the Himalayan summits and discover the fascinating mountainous culture that can be seen in pockets of local communities, in Buddhist monasteries and at Hindu temples across Nepal. After struggling through years of civil strife, Colombia's tourist industry has saved it from turmoil. Its northern coastline is unspoilt and is yet to follow the fate of equally beautiful beaches across the world that have seen the slow expansion of mega-resorts. Tayrona National Park is a coastal hiking route that winds through dense rainforest to open up onto incredible beaches with icing sugar sand, with Jurassic boulders and palm trees oh so elegantly drooping into the Caribbean Sea. 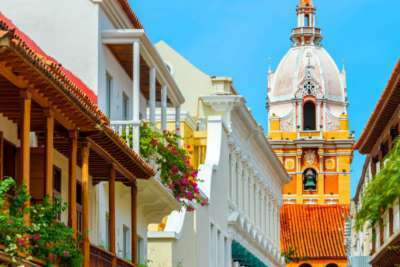 Colombia's local spirit remains also intact, with a distinctly Latin and Caribbean culture clash that displays itself in exciting dance, music and food. This small island in the Indian Ocean has been gaining popularity in recent years with its coral-clad reefs and azure lagoons. This is what lures keen divers and sun seekers to its shores. Inland, the island is covered in tropical greenery, with hiking trails offering walkers panoramic viewpoints. From Le Morne - the freestanding UNESCO World Heritage site that juts out into the Indian Ocean - tourists can see the island's incredible reef in all its glory, and in particular where the reef falls away into the Ocean, creating a striking underground waterfall effect. Montenegro is a charming Balkan country on the Adriatic coastline. It shares a coastline with Croatia, and is characterised by its red-roofed medieval architecture and beach-side villages. This tiny, relatively unexplored nation experienced a massive surge in tourism in 2016, and it's not hard to see why. Montenegro a site of incredible natural beauty, with rugged mountain ranges, gushing waterfalls as well as national parks home to wolves and bears. The country's silver lakes and canyons make it a haven for adventure lovers. 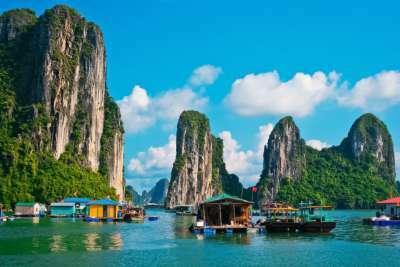 Vietnam has a spellbinding countryside and displays remnants from its French colonial past. These manifest in Vietnamese food, like the beloved banh mi baguette - and architecture. The north's capital of Hanoi boasts colourful French-style buildings with wrought-iron railings adorned with oriental lanterns. As communism appears to lose its grip on the country's political system, tourism is sweeping across Asia from places like Thailand. Get there now before the UV paint-loving crowds do. Just a few years ago, Portugal was teetering on the edge of bankruptcy. 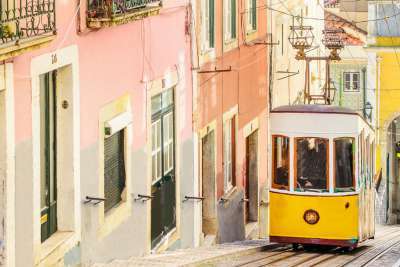 In 2016, this glorious country well and truly recovered, with tourists attracted by the remarkably low prices and the flourish of artistic and cultural rejuvenation that took place in the capital of Lisbon. The country has year-round temperate weather, both rocky and sandy beaches, and a host of idyllic islands. What's more, it is within easy reach of the UK, with hundreds of cheap flights available - its set to be on countless travel bucket lists this year. In the heart of Malaysia is the island of Borneo, where condensed rainforest and thick jungle opens out onto long stretches of gorgeous beach. For thrillseekers, the island has an incredible zip line, canyons and rivers fantastic for white-water rafting, as well as spectacular caves. Deer Cave in particular is big enough to hold five cathedrals. Its unique climate and biodiversity means it is also home to some incredible endangered wildlife like the clouded leopard. 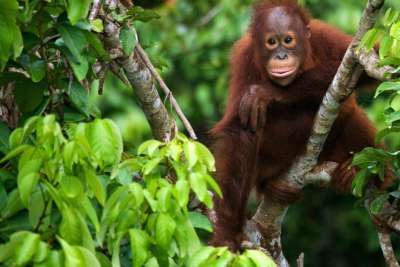 Most notably, it's a particular species of orangutan native to the island and on the verge of extinction that makes it a top destination. 2016 saw Croatia celebrate its 25th year of independence, and as Croats partied into the night, the rest of the world reflected on its success as a modern European nation. Over the years, the seaside country has enticed tourists with its beautiful rocky coves that make for azure-watered bays. The country boasts a vast shoreline peppered by picturesque towns and cities. The walled city of Dubrovnik has a fascinating Old Town with a snaking fort structure that runs through the city, and bright terracotta roofs contrasting against the deep turquoise of the Adriatic.